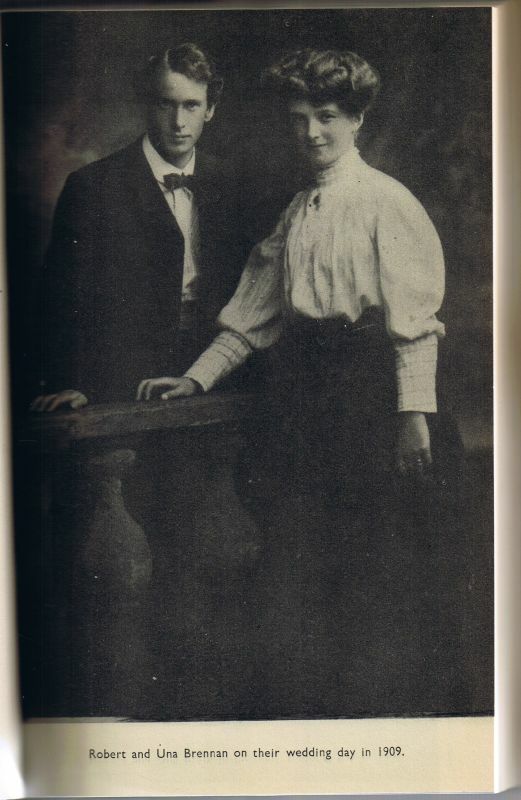 Robert Brennan and Una Bolger got married in 1909. 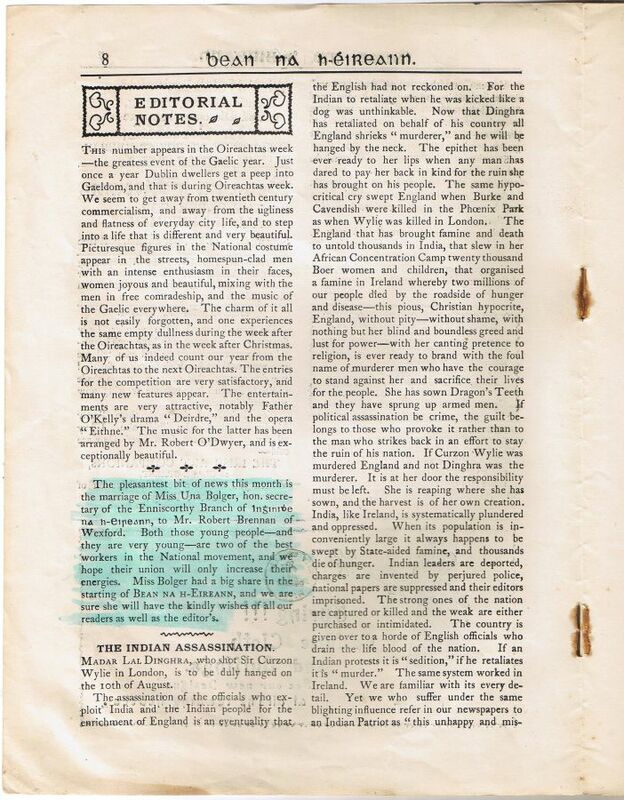 A notice of the wedding was posted in the August 1909 edition of the Bean-na-h-Eireann. 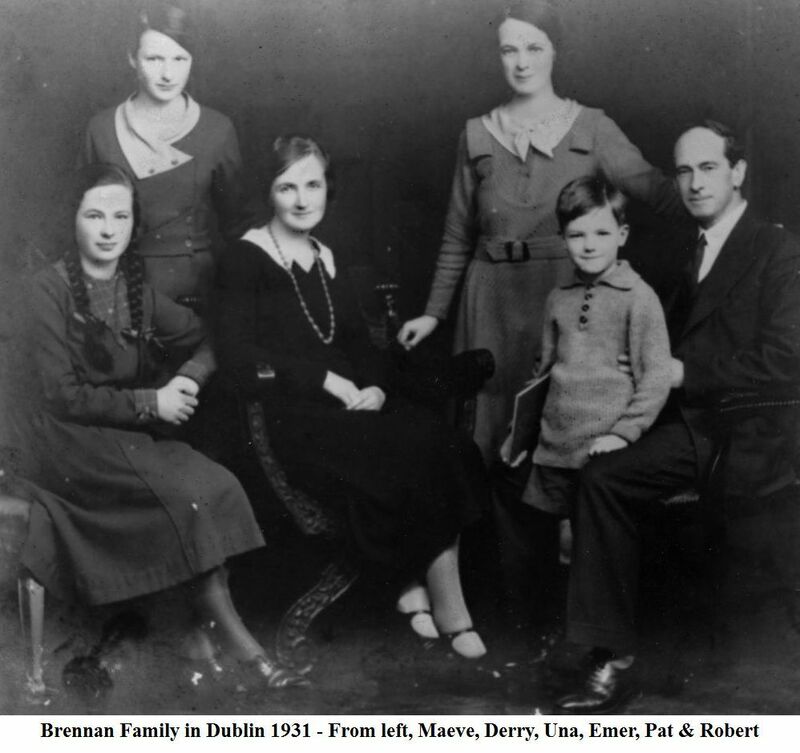 Photo: Brennan family in Dublin, 1931. 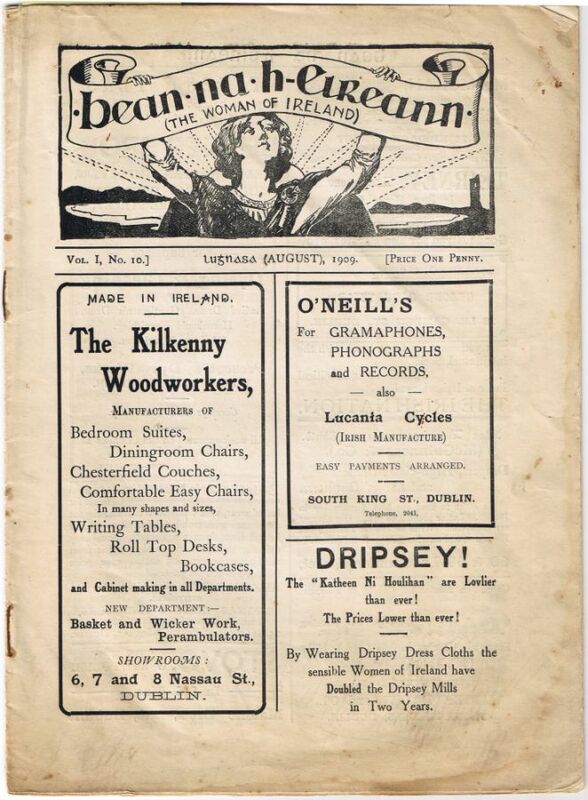 From Left to Right: Maeve, Derry, Una, Emer, Pat, Robert. 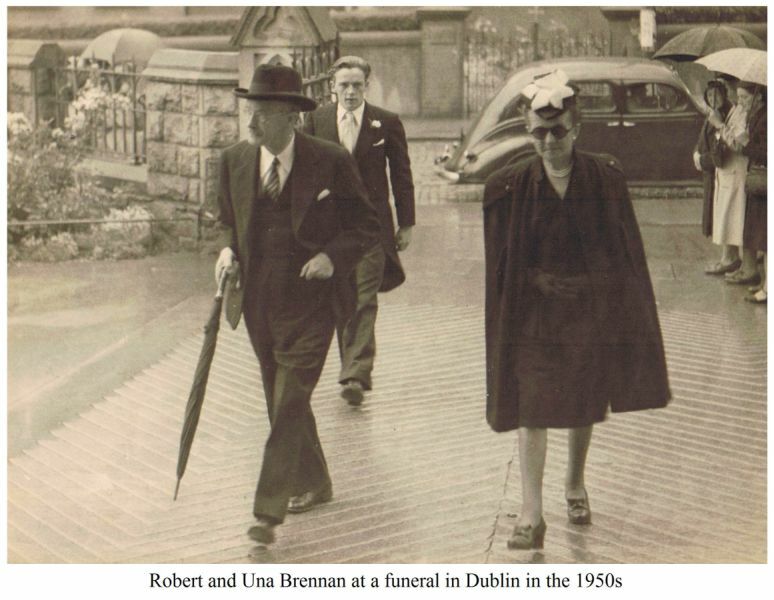 Photo: Robert and Una attending a funeral in Dublin in the 1950s.